Sen. Bernie Sanders' campaign hit back Tuesday at anti-Sanders Democrats in a fundraising email that followed a New York Times story on how they were agonizing over the possibility he wins the Democratic presidential nomination. Including an image of the Times' headline, which read, "'Stop Sanders' Democrats Are Agonizing Over His Momentum," Sanders' campaign manager Faiz Shakir wrote in the fundraising email: "The Democratic establishment and high-dollar donors are already planning how to stop our campaign. They are terrified of our movement — as they should be. "There's a growing realization that Sanders could end up winning this thing, or certainly that he stays in so long that he damages the actual winner," David Brock, the liberal operative and founder of Media Matters, told The Times, adding that he's had conversations with others about an anti-Sanders campaign that should start "sooner rather than later." So far, Sanders has outraised his 2020 Democratic counterparts and finds himself in first or second place in early primary polling. 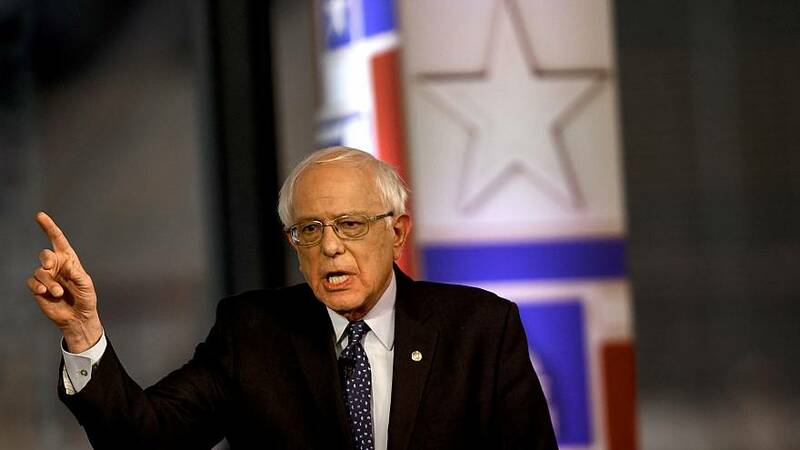 With pressure mounting for him to do so, Sanders released 10 years of his tax returns on Monday.